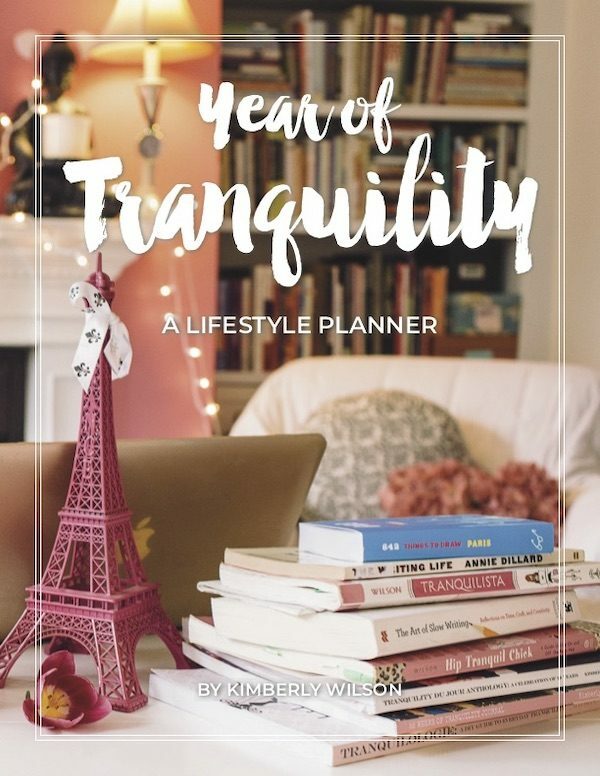 Year of Tranquility: A Lifestyle Planner is the marriage of a big picture planner with 12 months of deep diving into a variety of topics such as mindfulness, style, creativity, meaning, dreams, love, and more. Filled with 48 practices that gently nudge us toward making choices that soothe rather than stress, this book serves is as a tool for self-discovery and meaning-making through the year ahead. Follow the moon’s cycles and move through the seasons with intention and ease. 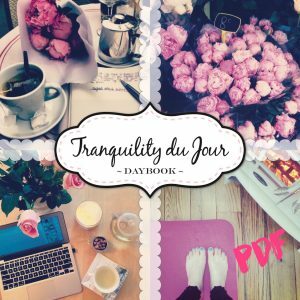 Muse in the pink dotted spaces, try the six plant-based recipes, and browse the Savvy Sources that include books, apps, and Tranquility du Jour podcasts. Although it’s set up to start in January, you can begin anytime and journey through this 12-month program at your own pace. Note what piques your curiosity. After the 32 Tranquility Tools, initial planning lists, time and money trackers, and lifestyle ideas, you’ll find 12 essays followed by four suggested weekly practices that align with the month’s themes. Receive three special treats when you purchase Year of Tranquility. An exclusive workshop, a selection of PDFs and a special Spotify playlist to accompany your reading. $19 PDF, available for instant download. Link sent 1 minute after purchase. 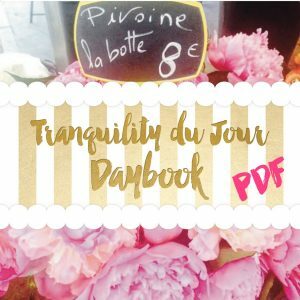 I count myself among the biggest fans of Kimberly’s Year of Tranquility and an even BIGGER fan of the PDF version of this new lifestyle planner? 1) I can print, size and bind it the way I like — on the heavier paper I like best, in the size the works best for me (8.5*8.5), and order the pages the way that is most tranquil for me .. all the ones I want, nothing I don’t use! I use all year, ALL my own! I can add all the journal pages I want and have a tool that keeps me centered and focused no matter whether I am at the office, the home office, on a plane (hello packing lists), or in the studio art journaling!